As military tanks patrol the streets and jets flew over Ankara another chapter in the bloody history of civil war was opened in Turkey. The nation has endured four coups in the past 56 years with hundreds of thousands executed and administrations overthrown. The armed forces regards itself as the protector of Turkish democracy, a philosophy made up of secular ideals created by Mustafa Kemal Ataturk - the founder of the modern Turkish Republic. There has now been four major moments where army chiefs have decided to intervene in order to ensure their ideals remain undamaged. 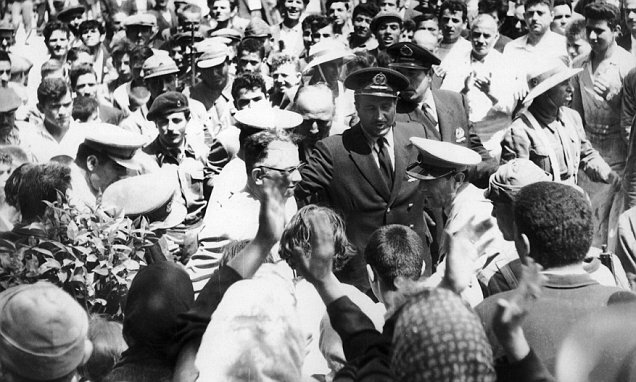 The first coup took place in 1960 as political tension reached boiling point between the government, led by prime minister Adnan Menderes and president Celal Bayar, the opposing parties and the armed forces. The administration began to re-open mosques and opened new religious schools as well as calling for people to pray in Arabic rather than Turkish. It also imposed new press laws banning critical articles in newspapers. After periods of unrest Menderes was forced to employ martial law. The government was eventually toppled and the president, prime minister and several cabinet members were arrested. Menderes was later executed. Well done people of the turkish people, they are not very expensive. All the holidaymakers need to back this coup sounds like a pillow fight. All the holidaymakers need to see a doctor. Turkey was the last time you talked to your mother? Turkey was the sane nation of the word Seattle?